The European Young Chemist Award has now been awarded four times (2006, 2008, 2010 and 2012). The authors of the previous books based on the competition have become some of the leading scientists in Europe. 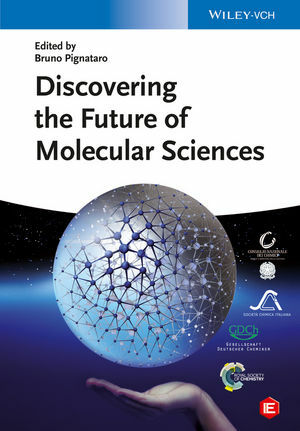 These books truly provide a glimpse into the future research landscape of European chemistry. Fifteen top contributions have been selected for this single volume covering areas of chemistry and materials science. The broad range of themes is presented in an approachable and readable manner equally appropriate for non-specialists on the topic. The overview of intriguing topics includes chemical synthesis and advanced methodologies as well as materials, nanoscience and nanotechnologies. Bruno Pignataro is Professor of Physical Chemistry at the University of Palermo. He received his degree in chemistry in 1995 from the University of Catania and his PhD in materials science five years later. He has chaired the European Young Chemist Award in 2006, 2008, 2010 and 2012. He has authored more than 100 scientific publications and leads a group working in the fields of nanoscience, nanotechnology, electronics and biotechnology.